Happy Thanksgiving! The one holiday that allows me to spend a ridiculous amount of time with family and friends. It cannot be beat for that aspect. Turkey, green bean casserole, sour cream cucumbers, double backed yam, and my Mom’s ludicrously delicious and home made stuffing. All piping hot, all fresh, and all making my mouth water again. Dessert is home made pumpkin pie with real whip cream; is there any other way? The night cap on the evening was a stop off at Rich’s. I brought over a couple of American craft beers to help celebrate Rich’s birthday a day late. 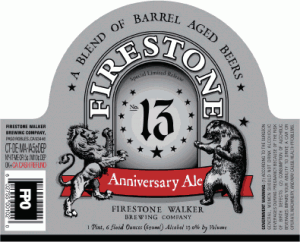 An American Strong Ale, the highlight of the evening was 13 Anniversary Ale by Firestone Walker Brewing Company. 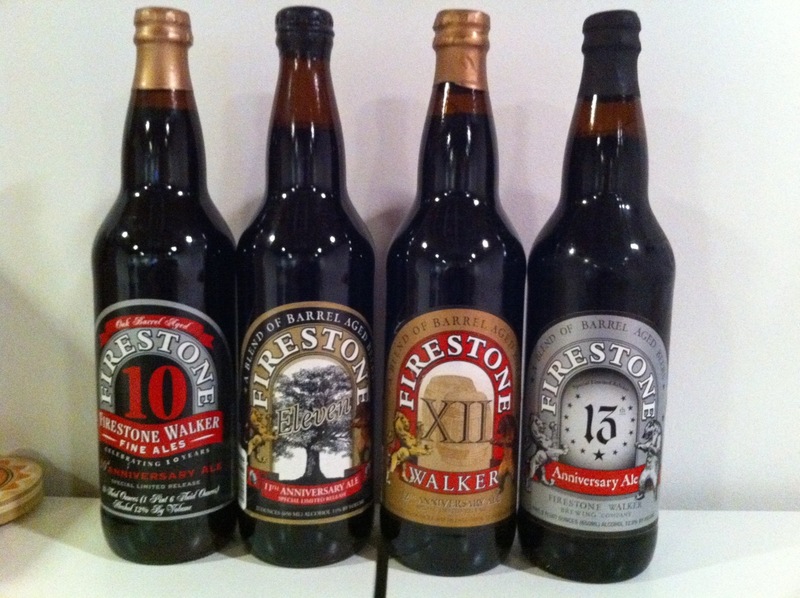 Firestone’s anniversary beers are always a blend of bourbon barrel aged beers. Each year it is different and, I believe, a group of wine people from the local area come in to taste and determine the blend. Cool idea, great beer. Enjoy! 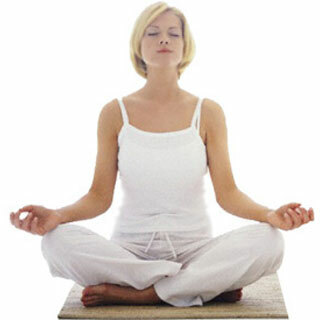 Useless Fact: It is possible for a fetus in the womb to get hiccups. The countdown is on and my excitement is quickly building as I know that Dark Lord day is this Saturday. Unfortunately, for the second straight year, I have family business and I will have to pretty go and leave, not able to take in any of the fun, good beers, and good people that will be there this year. I am curious to see how much better things will run this year with the changed format. Double Barrel Ale by Firestone Walker Brewing Company marks the third of four different Firestone Walker beers I received in a recent transaction. Velvet Merlin is the fourth and final, probably finding it’s way into a review sometime this week. I had Double Barrel a couple of years ago and sort of forgot what this beer was about, in spite of the review. I was wondering what that meant to the beer since I couldn’t remember it: good or bad. I will have to say that it means nothing bad. Double Barrel is a solid English Bitter with a big, bread malt backbone that is balanced by some hops. Not my favorite style of beer, but Double Barrel is one of the better examples, for me. Enjoy! Useless Fact: The first automobile race ever seen in the United States was held in Chicago in 1895. The track ran from Chicago to Evanston. The winner was J. Frank Duryea, whose average speed was 7 and a half miles per hour. More California American craft beer for number 141. Pale 31 by Firestone Walker Brewing Company comes by way of the same transaction that landed the other recent California beers. I hope this doesn’t come across negative: out of the beers I have tasted from Firestone Walker, this is probably my least favorite, even though I still rated it a 7.9. That rating means the beer is above average. I have had the beer on several occasions, so it isn’t like I believe it to be like the plague. It just goes to show the quality of beer that comes of Firestone. Lots of citrus hops in this biscuit and caramel malt laden beer. The citrus was a combination of orange and grapefruit for me. I think the biscuit malt that comes through threw me a bit as I wasn’t expecting it, maybe that’s why I didn’t rate it as high. I was expecting a more clean malt profile. Still another quality beer from another quality west coast brewery. Enjoy! Useless Fact: Every night, wasps bite into the stem of a plant, lock their mandibles into position, stretch out at right angles to the stem, and, with legs dangling, fall asleep. Another day another fine American craft beer from the west coast. This time the spotlight is on Firestone Walker Brewing Company and their Union Jack beer. Firestone Walker is a “magical” brewery for me, as everything that I seem to get my hands on, which should be more now that they distribute to Illinois, is really good to outstanding. I have had most of their regular offerings and in a recent TNBC, not to long by gone, we had a vertical of 10, 11, 12, and 13. All really good beers with 11 blowing the roof off the place. 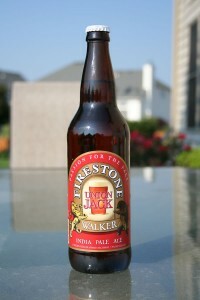 Union Jack is one of the first beers I had from Firestone Walker. It is a solid American IPA with a heaping dose of hops that are almost not bitter at all as the beer finishes clean, enticing you back for more. Until my recent tasting of Double Jack I didn’t think this beer could be much improved upon. Double Jack knocks it up a notch from Union Jack, with huge amounts of hops and grain to balance, leaving quite the wonderful bitterness and hop flavor in your mouth, sip after beautiful sip. I hope that more Firestone Walker continues to land in Illinois as I continue to seek it out. Enjoy! Useless Fact: There is a 6 foot high stone monument dedicated to the comic-strip character Popeye in Crystal City, Texas. It isn’t often that the wife and get to go out and appreciate a few, quality American craft beers. The day was long with painting, running around but baby sitter showed up, we were ready for a few hours of freedom. We went to a local bar, that I had called earlier to see what was on tap. 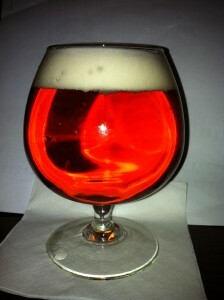 Double Jack by Firestone Walker Brewing Company was flowing. I had heard good things about this beer. I needed my piece of the pie. Once we arrived my wife said that she wanted something bourbon aged. Got to love that in a woman. The only thing on the menu that fit the request was Dragon’s Milk by New Holland Brewing Company. Unfortunately, for my wife, she thought it would be prudent to throw back three of those in a matter of a couple of hours. Yuck describes the rest of the evening for her. Double Jack is something special. It is that simple. Pine is the foremost in the character of this beer. Citrus and malt sweetness are there also. The mouth seems to add a bit of mangoish flavor that leads me to believe Citra hops might have been used. The big alcohol is well hidden, dangerously so. I could have this over and over again. The bar tender did tell me they were getting three more barrels of this fine nectar. I will be back. Enjoy!